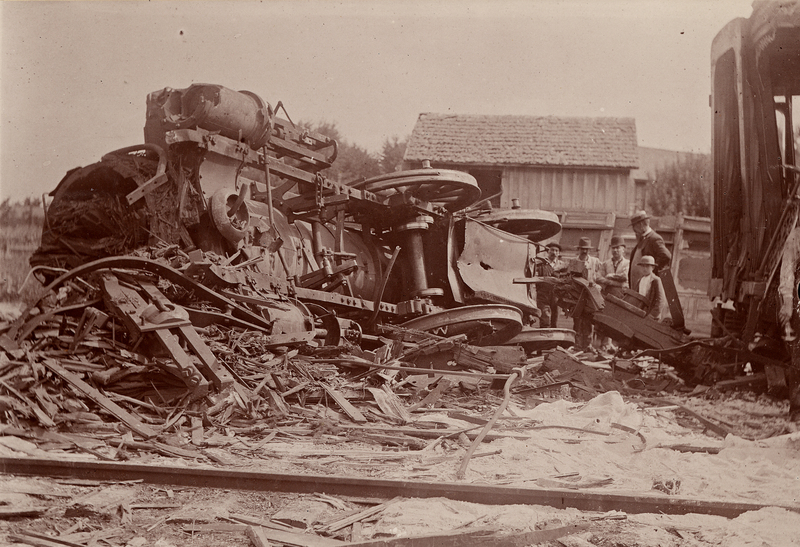 Photograph of the “Orinoco” train wreck, August 5, 1893. B.K. Emerson Papers. Headline from the Springfield Republican, August 7, 1893. 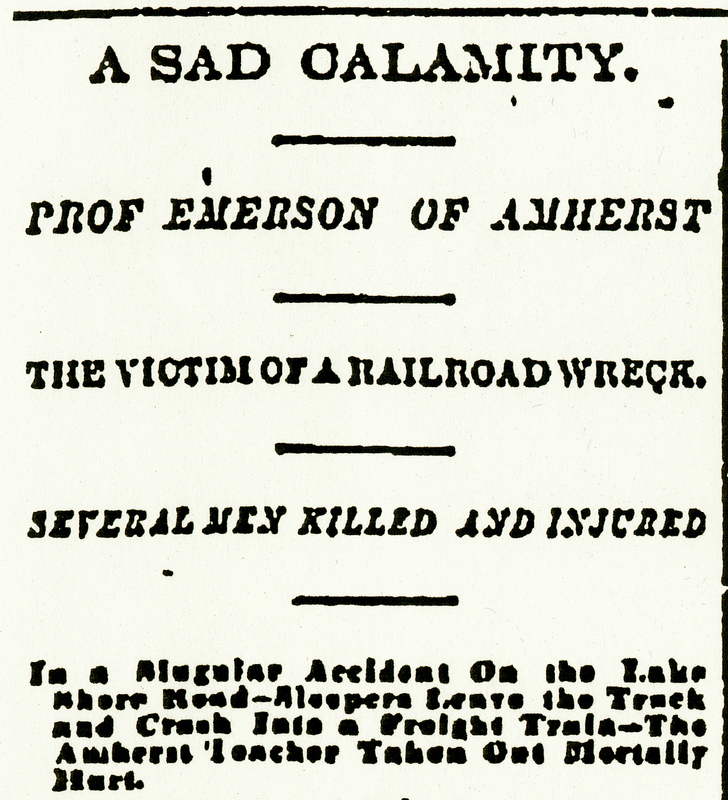 It was “characteristically vigorous” of Benjamin K. Emerson, wrote Horatio Smith in 1932, “that he should outlive his own obituary by forty years.”* Though injured in the accident, Emerson did not die and was back in Amherst within the month. This is a quick post to share the news that John J. McCloy’s Assistant Secretary of War diaries from World War II are now available digitally on our website: https://www.amherst.edu/library/archives/holdings/john-j.-mccloy-world-war-ii-diaries. McCloy served as Assistant Secretary of War from 1941 to 1945. The diaries are largely day to day records of McCloy’s activities, with some narrative containing his impressions of individuals and events. 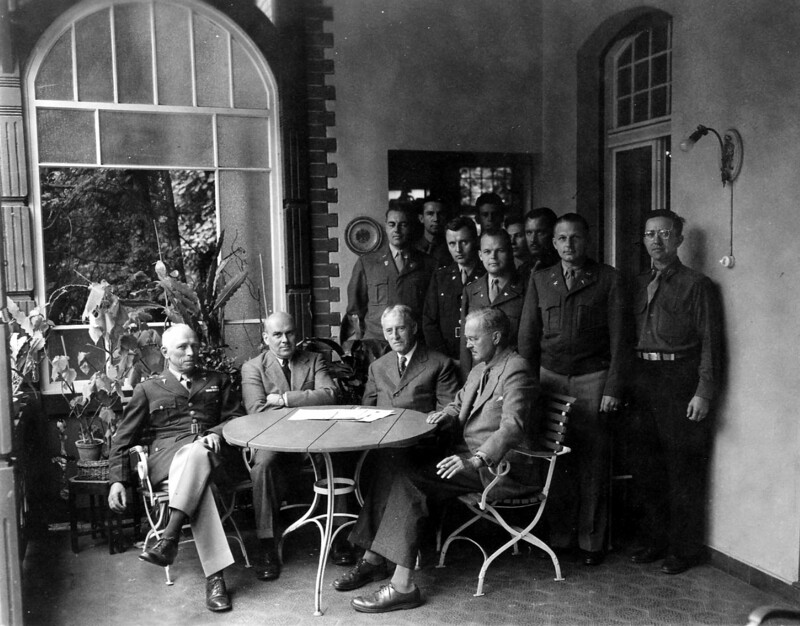 Topics of particular interest include: the Japanese-American relocation program (1941 and 1942); McCloy’s tour of North Africa (1943 Feb-Mar) and Italy (1943 Dec); the Cairo Conference (1943 Nov-Dec); planning for post-war Germany (1944-1945); the Normandy invasion (1944 Apr-Jun); McCloy’s tour of the front, the death of President Roosevelt and plans for war crimes trials (all 1945 Apr); various issues relating to the atomic bomb (1945 May-Nov); the Big Three Conference in Berlin (1945 Jul); the Japanese surrender and the end of the war (1945 Aug); and McCloy’s ensuing world tour (1945 Sep-Nov). The small document reproduced here will win no prizes for beauty or elegance, nor even eloquence. 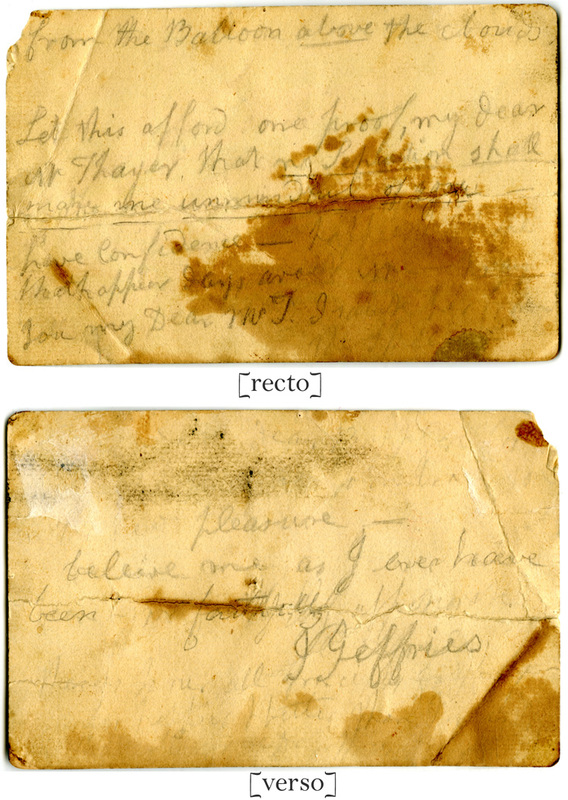 It is stained and faded — barely legible, in fact. Nevertheless, it represents a historic “first.” What we’re seeing is arguably the first piece of air mail ever delivered. T. S. Eliot. “The Waste Land.” 1922. 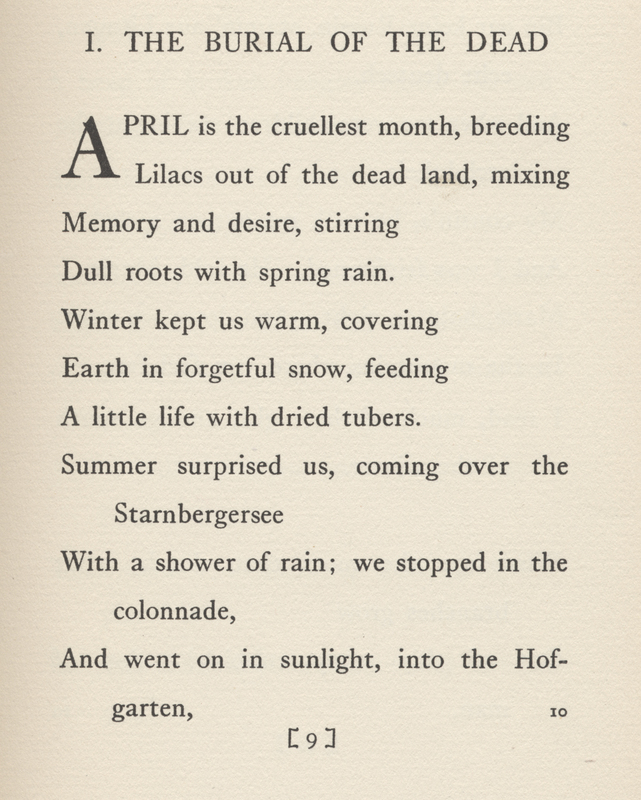 Our holdings of books and manuscripts by Emily Dickinson, Robert Frost, and Richard Wilbur are well known to most poetry aficionados, but the poetry collections at Amherst College extend well beyond these three greats. In the past year I worked with two undergraduate courses that prompted me to dig deeper into other areas of our poetry holdings. As a cataloger, it’s fun to assign a subject heading that I’ve never seen before. (Okay, I’m easily amused.) Last week that new subject heading was “Flies, Artificial — Specimens” for the book Mayflies of the Driftless Region by Gaylord Schanilec. The special edition of this book won two design awards, at least in part because of the slipcase, which includes eight hand-tied fly-fishing lures. (The awards are the 2006 Carl Hertzog Award for Excellence in Book Design and a Judges Choice Award at the 2005 Oxford Fine Press Book Fair. 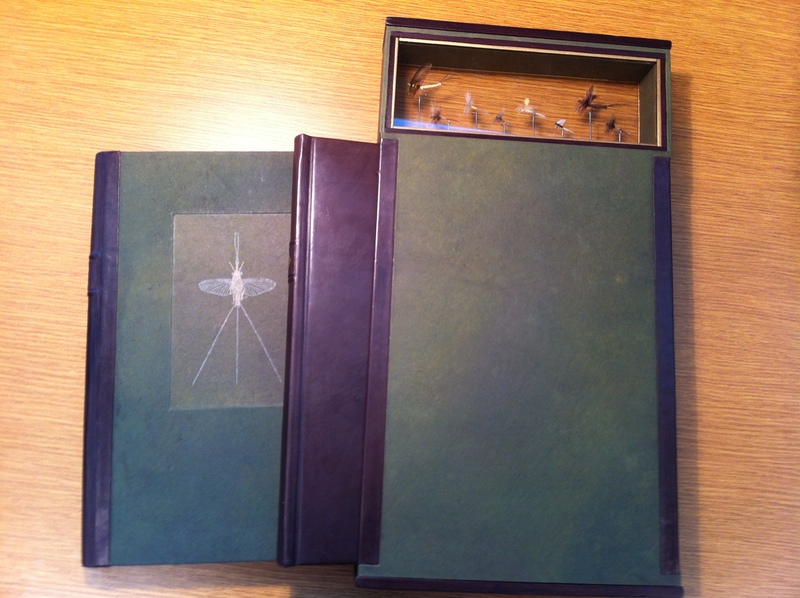 The binding and slipcase were created by Jill Jevne, and the dry flies were tied by David Lucca.) See the record in our online catalog for a complete description of this edition.